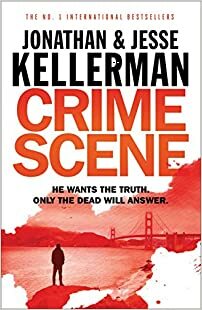 Reading the Jonathan Kellerman books in order involves in most people’s minds reading the Alex Delaware series, however, the author has written several other shorter series and a few standalone novels as well. Jonathan Kellerman is an established psychologist, teacher, researcher, and book author. Throughout his many years of research at the USC School of Medicine, he helped pioneer the important field of forensic psychology. His latest novel, A Measure of Darkness, the second book in the new Clay Edison series, was published in 2018. Born in 1949, in New York City, Jonathan Kellerman (website) grew up in Manhattan and then he moved to Los Angeles, California, where he majored in psychology at the University of California Los Angeles. He received his Bachelor’s of Science in Psychology in 1971. Next, he earned his Ph.D. In Clinical Psychology in 1974 at the age of 24 at the University of Southern California. During his work at the Children’s Hospital Los Angeles, he published several research papers on the effects of the ‘plastic bubbles’ – the sterile environments children with autoimmune disorders have to live in – have on those kids. The author is also a survivor of thyroid cancer, which made his research and published findings that much more important and valuable both to him and the medical establishment. His research in these areas led to forming of the Psychosocial Program, Division of Oncology in 1977, of which he became a founding director. He is currently no longer an active psychotherapist. His first book was non-fiction titled Psychological Aspects of Childhood Cancer, published in 1980. The author’s debut novel was When The Bough Breaks, published in 1985, which became the first book in the Alex Delaware series. The book was turned into a successful TV movie with the same title, released in 1986 featuring Ted Danson as Alex Delaware and Richard Masur as his friend Milo. Before starting his Alex Delaware series, the author spent 14 years writing manuscripts that were constantly rejected by publishing houses. In 1981 he realized that if he wanted to become a published author, Jonathan needed to treat writing as a job and not as a diary. Back in the day, he kept his profession as a hospital psychologist separate from that as a writer. After writing three books that were published, however, the author Jonathan Kellerman realized that he is too busy writing books for him to also work full-time as a psychologist, so one has to go, especially when being a writer put demands on him (like traveling for book tours around the country) that his job as a psychologist wouldn’t allow him to. And, thankfully for his readers, he became a full-time writer. However, his vast knowledge about the medical profession, with a doctorate in psychology, he could easily transfer that knowledge to his favorite character in books. Thus, reading the Jonathan Kellerman books in order involves a lot of reading about psychology in the character’s daily works. Besides on his work on the Alex Delaware series, Jonathan Kellerman also wrote a few other shorter series, including his latest series, Clay Edison. In the first book of his latest series, Clay Edison, deputy sheriff working in the Alameda County Coroner’s office, is tasked to investigate the accidental death of Walter Rennert in Berkley, one which might not be accidental at all. The victim died after tumbling down the stairs, and while such accidents happen all the time, his daughter, Tatiana, believe it’s murder. Not only that but she also mentions to our new crime scene investigator an old murder that occurred in 1993 which she believes has a direct relationship with her father’s death. Clay Edison is a former basketball player for UC Berkeley, a rising star who ruined his knee in a game-related accident before his senior year. Now, he is working as a deputy sheriff and coroner in Alameda Country, where both jobs for one person is possible. The book was co-authored with Jesse Kellerman, the author’s son. The author is married to the writer Faye Kellerman, and one of his four children, Jesse Kellerman is also an accomplished writer. Together, they have even co-authored two books, Double Homicide, published in 2004, and Capital Crimes, published in 2006, which is part of a new series titled Clay Edison. 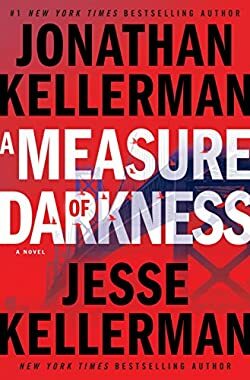 The series will have a new book out in 2018 with the title A Measure of Darkness. The Jonathan Kellerman booklist also includes several non-fiction books, of which, Helping the Fearful Child, published in 1981, is cited even today in works helping children fight mental instability as well as getting rid of a sense of insecurity in kids. Due to his job in psychiatry, he has a unique perspective that helped him write some extraordinary novels (especially the Alex Delaware series), where he can pour his knowledge into some of the popular characters and cases they work through. His stories bring a sense of realism to the reader that, again, stem from the author’s background in his previous day job. Here are all the Jonathan Kellerman books in order of publication. The Alex Delaware series is listed on a separate page due to the list of books being quite long. Because there are so many books in this popular series, the Alex Delaware series is discussed in detail on its own page. Alex Delaware also appears in these books, although he is not the main character. OMG I could not understand the Golem of Paris,,,I guess I need to read the Golem of Hollywood!